When you are in need of some quick vegetables fix and would like something different other than the good old steamed greens, then this 15 minutes green beans Indian curry recipe may just be what you need. An easy to make dish completed in just 4 steps with the minimal of ingredients. If you do not have a pressure cooker or an instant pot you can make this green beans curry in a regular pot as well. It may take 5 minutes more but the steps and process are the same to follow. I have served this as an accompaniment to a chicken or a fish main and even as a vege side dish for a steak. However, this type of Indian beans and potato curry, also known as Beans and Alu ki sabzi in Hindi, is made as a regular vegetarian Indian curry eaten with rotis or plain boiled rice. Like any vegetable, this dish tastes best when made with fresh beans. The advantage of cooking stale vegetables in the pressure cooker is that it cuts down cooking time and makes vegetables less chewy. So my tip to you is to use fresh beans and make this french beans curry in a regular pot to make it within the said 15 minutes. You may have noticed (or maybe not) that I keep switching between calling this recipe french or green bean curry. The reason is that they are both similar beans yet different in taste and cooking capability. There are many different varieties of beans available in the market. Including yellow beans, snap beans, broad beans, long beans and many others with fancy names. I usually go for either the French beans or the common green beans and sometimes Chinese long beans. Thought it may be a good idea to clarify the difference between green beans and french beans while we are on the topic. Green beans are the general name given to the variety of fresh beans (green in colour) sold in the market. So French beans is also a type of green beans. The main difference is about its size and shape. While Green beans are longer and can be curly with bigger seeds inside, French beans are more short, straight with smaller seeds. Frech beans are comparatively tender to green beans. So when it comes to cooking French beans you can simply blanch them in hot water, rinse under ice cold water to retain its colour and sprinkle some flavoured oil, salt and pepper and voila your family and friends will think you are a kitchen Goddess! Or if you wish to serve something more exotic then make this easy French Beans Indian Curry and impress family and friends. I have made this same Indian beans recipe with all types of beans and it tastes equally good. Give this easy Indian vegetarian recipe at try and let me know how it was. All Spices can be bought easily with just one click. 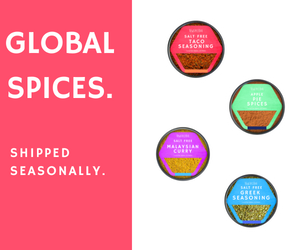 Freshly packed spices delivered straight to your door. Simply select one of the recommended online stores and start shopping from the convenience of your home without the need to look anywhere else. Heat 2 teasppon of ghee in the pressure cooker. Add cumin seeds, asafoetida and green chillies and let it splutter for 10 secs. Next add the beans and potatoes and stir it well for about 3 - 5 minutes. Add chopped tomatoes, cumin powder, salt and sugar. Stir it well with the vegetables. Add 1/2 cup water and cover the lid of the pressure cooker and let it cook for about 8 minutes. Remove from heat and release the pressure by putting the cooker under cold running water to stop the vegetables from getting over cooked. Add fresh coriander leaves and another spoon of ghee and serve hot with chappatis or rice.